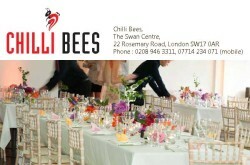 Chilli Bees Catering London (South West London) based full service catering company serving in and around London. In January 2012 CHILLI BEES joined forces with the ‘Gorgeous Foods’ team. Gorgeous Foods has been catering for all types and sizes of events for 20 years. CHILLI BEES cater for birthday parties, anniversaries, informal and formal dinner parties, reunions and even romantic dinners for two. 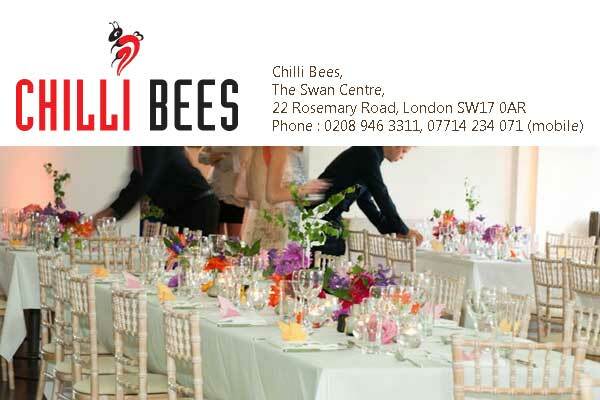 Whatever your requirements, numbers or budget, Chilli Bees can help cater everything from food, to crockery, to marquees and flowers in a relaxed and professional way.